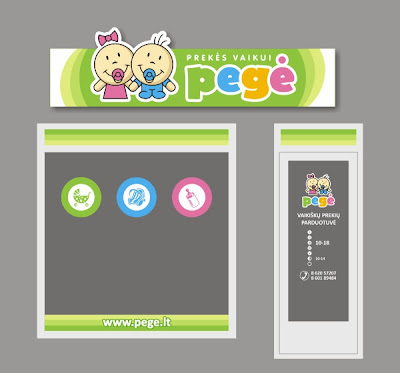 Next, they asked me to help with the facade design for their physical store, fitting in style with the new logo. The process turned out to be quite long, mainly because of the window design, which went through numerous trials and tribulations, until it was finally approved sometime in the middle of April. I know, I wasn't much of a blogger this month, but I have quite a few ongoing projects, so, hopefully, I'll be more active next month. See ya!